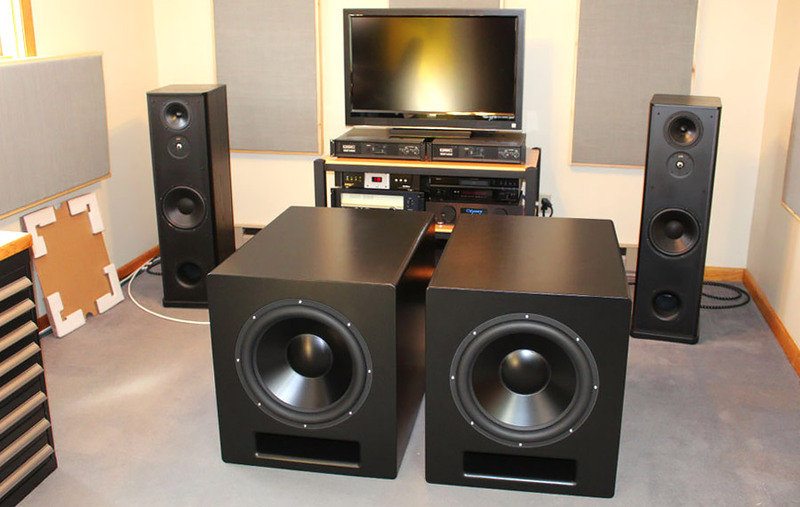 Slot Ported subwoofer using the Dayton Audio RSS460-HO-4 Driver in a large cabinet tuned to around 19Hz. Cabinet was designed to be very strong and very heavy. 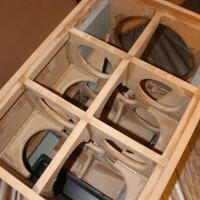 The entire construction features 1″ MDF throughout. 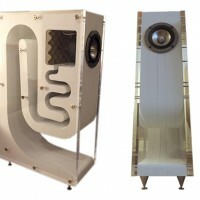 Ultra rigid enclosure to eliminate as much cabinet resonance, vibration and flexing possible. Large slot port eliminates port noise even at high volume. 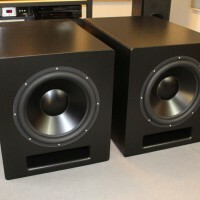 This subwoofer design is meant to be used for clean, powerful and efficient bass output well below 20Hz room. Dayton RSS460HO-4 was chosen for its optimal performance with both music and movies as well as the reasonable price tag. 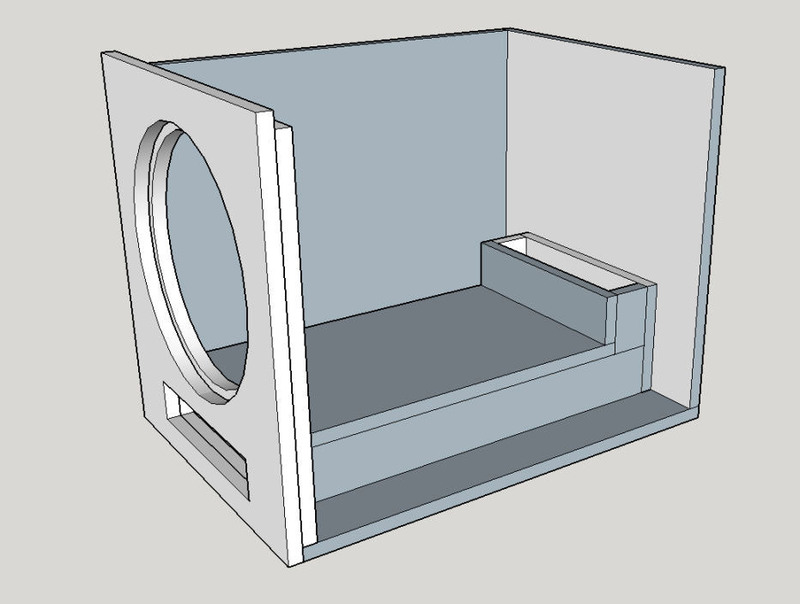 The enclosure was designed in 3D CAD using sketchup software. 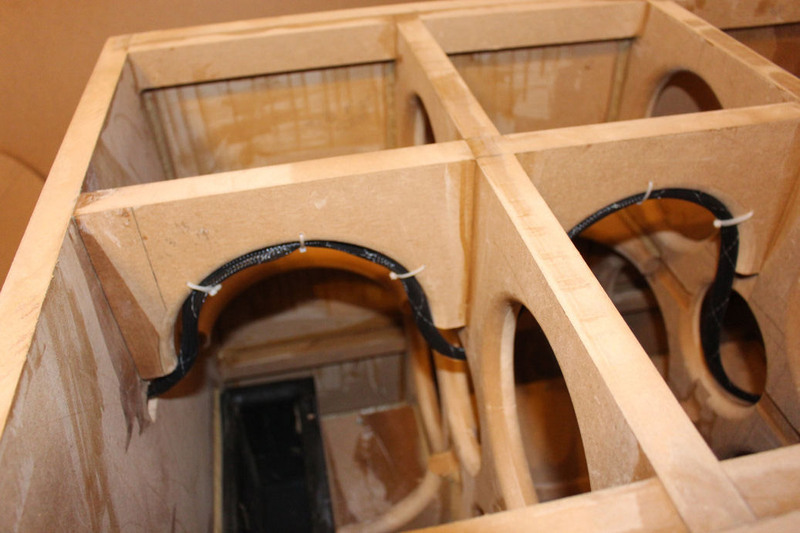 Each part was calculated for volume taken up and dimensioned for overall fitment before fabrication started. 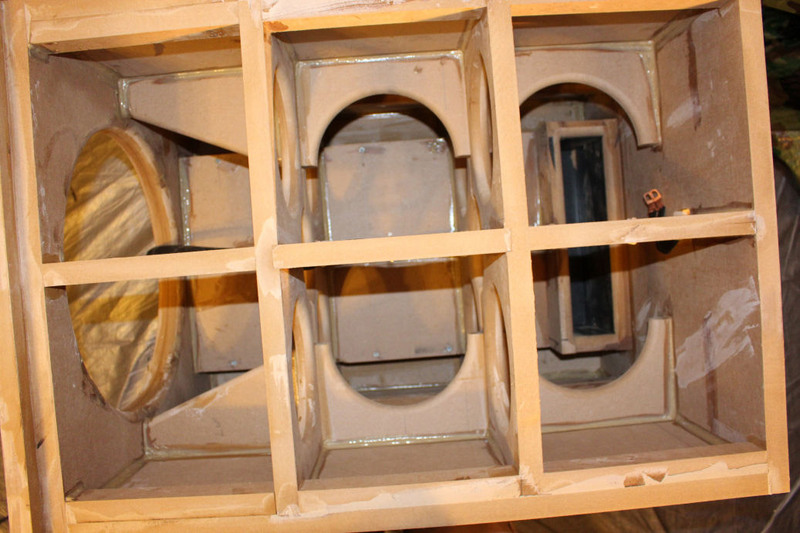 All parts were accounted for in the volume calculations with the exception of the 3/4″ round over placed on all items. Designed for 1″ MDF sheet goods, a completely self contained port assembly that does not utilize a cabinet wall for any section. Internal bracing throughout that interlocks all 6 sides of the enclosure together. Flush mounted driver for a very clean look. Cabinet contains Roxul rockboard 60 covered in burlap fabric in the area around the driver and in the bottom corners near the port to help diminish any internal reflections. 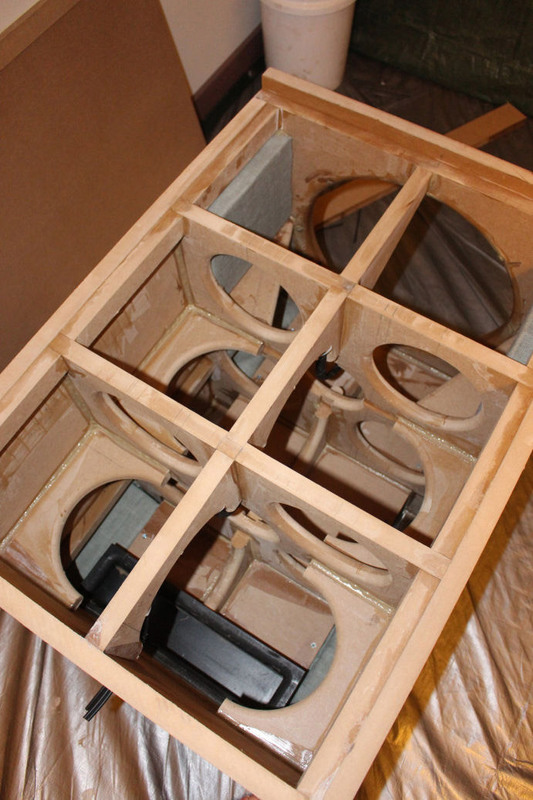 With over 40 individual parts per enclosure this is not a weekend project. I spent nearly 2 months to complete two of these fitting in time to work on them when I could. 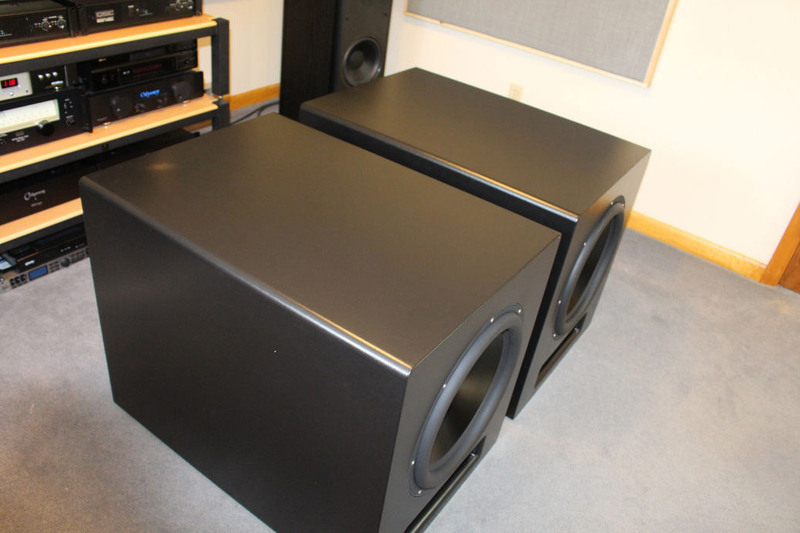 Overall an excellent subwoofer. 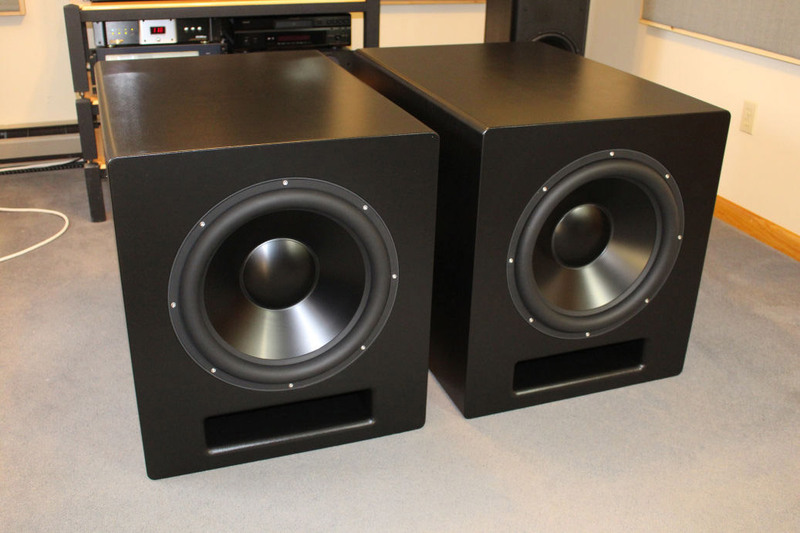 The musicality and speed of the gigantic 18″ driver continues to amaze me. 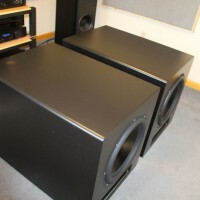 With two of these subwoofers I can easily shake the room while the drivers hardly seem to be moving. 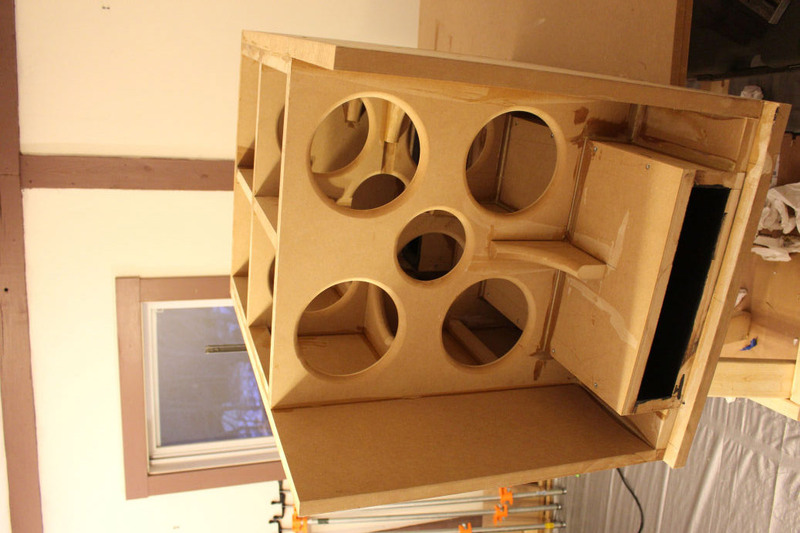 I previously built a different pair of subwoofers in the past featuring another large slot ported box and a 12 inch driver. These are better in every way. 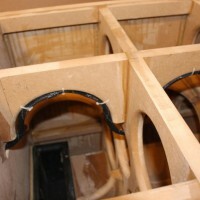 There are several photos and a build follow along online. 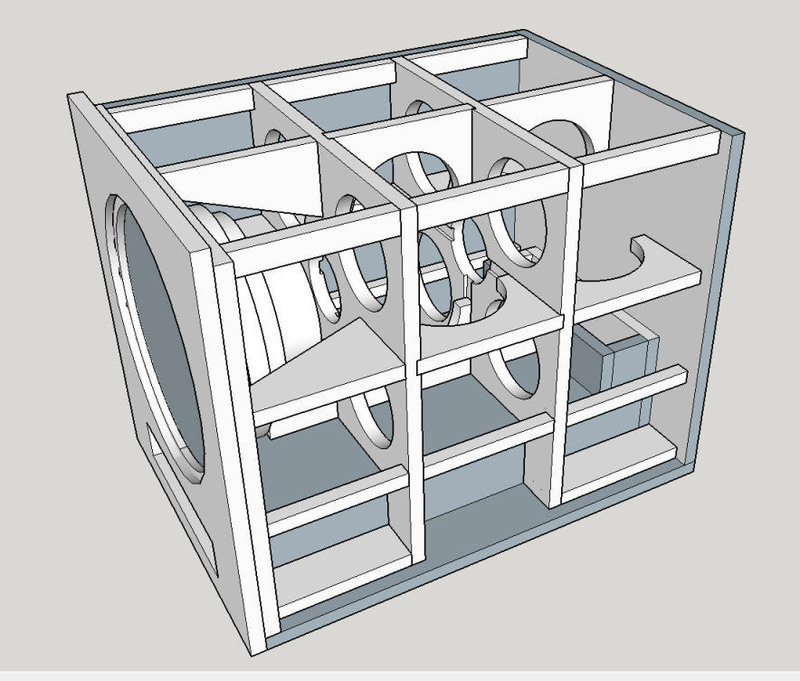 As well as the sketchup file available for download so any perspective builder can see the design and dimension their parts as needed. 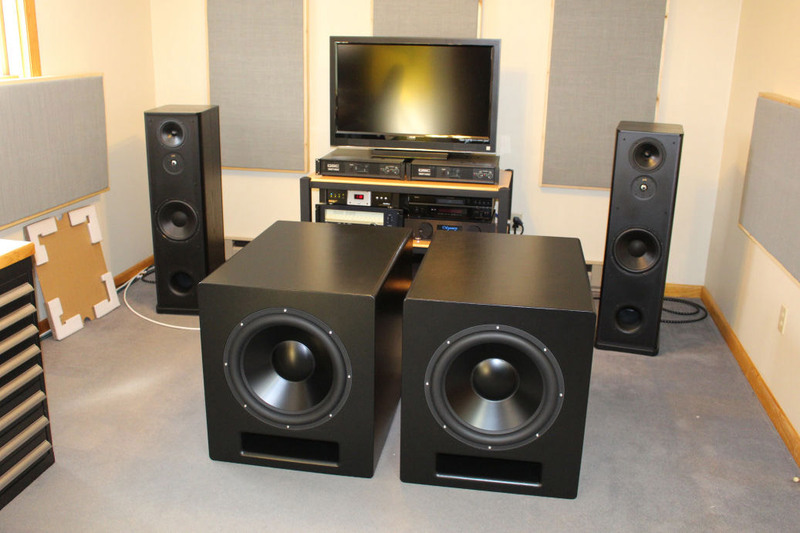 Been into HiFi Audio for about 15 years. 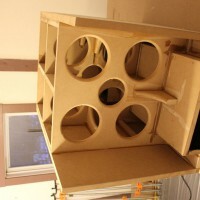 I enjoy working on DIY audio projects or DIY in general. One of the great hobby’s that I can use my woodworking, and electronics skills to create something useful! Kidding, this is a great looking enclosure! If I had the room for one of these I’d have to build it! Great job, they look loud just from the picture! Great design I would love to create. Where can I find the file to download? 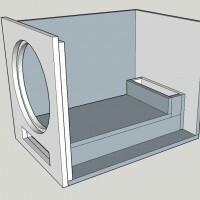 I would like to build just one and what amp you put onside of the enclosure. How big is the cab? There is no amplifier in the cabinet. 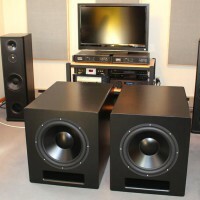 I am using one QSC RMX1450a amplifier per subwoofer. This looks fantastic. I wish PE carried a AIY cabinet like this as they do for a sealed 4 cubic foot. Those look absolutely beautiful. Very nice work indeed! 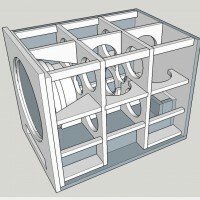 You need to get the cad file and then you can take apart the cabinet and dimension each piece. I can email you the file. I stopped paying for server hosting where the files were previously located. 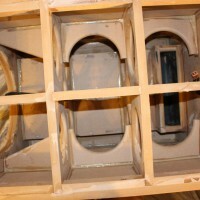 I am now attempting to build one to start with at this time, not knowing the actual dimensions of each part, I am just guessing, I have already messed up the 2 baffles/bracing by not making Port clearance tall enough, I thought it was 3 inches, then discovered it was 4 inches, cutting into the baffle holes. 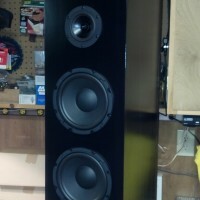 Beautiful subs!! Would you mind emailing the file to me as well? I’m roadkingrich at yahoo. 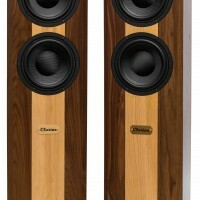 Sure would appreciate it and can’t wait to hear a pair!! Would love this as a flat pack. Brandon – Would love to have the CAD file if you don’t mind sending – this is exactly what I was looking for. One question – how did you paint this beast? Can i have the drawings and the woodlist with all the messuerements for building a 18inch slotport,please???? Greetings from Mario from Holland. 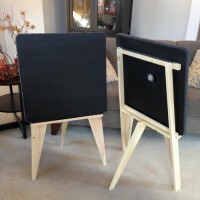 Hi Brandon, This is Absolutely beautiful, i would like to build these. 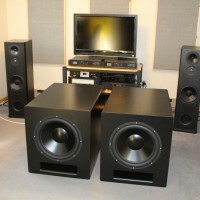 How much watt want it..
HI beeutyfull set of 18’s is there a way to pay you to build them for me if that’s possible ?? where can I get plans for this? Awesome design!! Can you tell me what for stereo speakers in de back are?